It’s 2015 and a whole raft of trade shows and open source events will take place again. ownCloud plans on being at as many events as possible and kicking off the conference season in Europe and the US are FOSDEM and SCALE. In the words of the FOSDEM website: “FOSDEM is a free event that offers open source communities a place to meet, share ideas and collaborate. It is renowned for being highly developer-oriented and brings together 5000+ geeks from all over the world”. FOSDEM takes place in Brussels, the capital city of Belgium in the first weekend of February. This year that’s also the last weekend of January as the 31st of that month sees FOSDEM kick off while the 1st of February marks the second and last day. 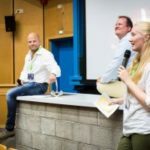 The event famously touts No registration necessary, attracting an incredibly diverse 5000+ large audience to the often full and entertainingly chaotic hallways of the ULB Solbosch Campus. If you’re interested in attending, check out the practical information page! ownCloud will have a booth at FOSDEM – we’ll update this article as soon as we know where and how but rest assured that you’ll notice us when you visit the event! More than a handful of ownClouders has already noted they would join and several plan to be active in various devrooms and talks across the campus. See you at FOSDEM! 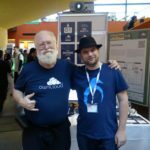 The Southern Californian Linux Expo in Los Angeles has been going for 13 years and for the first time it will feature an ownCloud talk and booth! The SCALE site describes the event as: “the largest community-run FOSS conference in North America”. SCALE grew even bigger this year, adding a Thursday of special tracks and it expects to host over 100 booths and 130 talks, tutorials and other sessions. The last track is only open to speakers 18 years and under – a great way of encouraging a new generation of FOSS hackers to step up and speak their minds! If you’re interested in joining SCALE 13x, check out the SCALE website. We look forward to seeing you there! 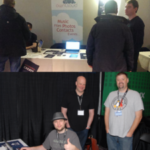 ownCloud booths and talks are ran by ownCloud community members like you! We coordinate this at the ownCloud development- and event mailing lists and you can find a list and resources to organize ownCloud event attendance at owncloud.org/events. We rocked both events, thanks everybody who came by to say hi!